1 SMS is equal to 1 unit, except for MTN DND route which is 2 units. Pay online with your VISA, Freedom, Verve, and Naira MasterCard. Customized SMS option to pick columns from a CSV (Excel) file. SMS scheduler for automatic bulk SMS delivery at a later time. SMS Inbox to receive SMS replies (2 Way) and save them online. Automatic removal of duplicate numbers to avoid wasted credit. Bulk SMS API for any platform (Joomla, Java, etc.) using our REST API. Buy SMS online and receive your credit immediately. Download delivery reports of all your sent SMS. Low credit alert to notify you when your balance is running low. Instant delivery reports of all bulk SMS messages you send. Transfer and share credit with your friends and colleagues. Online backup of all your contacts so you can retrieve them on any device, at any time, and anywhere. Start your SMS business with our RESELLER program. Read about our latest finding on our BLOG. See the list of countries we cover. 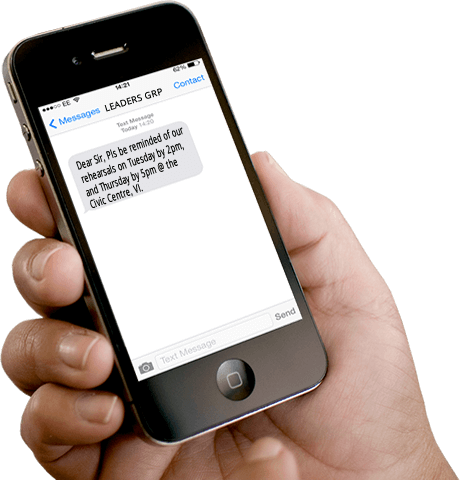 Get samples of SMS greetings you can send. Do you run a church, mosque, prayer house, school, club, restaurant, micro-finance bank, health and fitness centre, hospital, e-commerce store, fleet management service, event management outfit, etc? Bulk SMS is exactly what you need to start engaging your members using a unique “sender name” that people will immediately remember and associate with your brand.